Dinamo Zagreb have locked in six future stars of Croatian football. On Wednesday 22 February 2017 the club presented its six latest signings. Filip Benković (19), Ante Ćorić (19), Dominik Livaković (22), Davor Lovren (18), Nikola Moro (18), Borna Sosa (19) and Adrian Šemper (19) have signed new deals with Dinamo Zagreb until 2022, the club reported. All of the players are products of Dinamo’s fantastic youth system and have represented Croatia at youth level. The six have also all tasted first-team football at the club and are set to be the future of Croatian football. 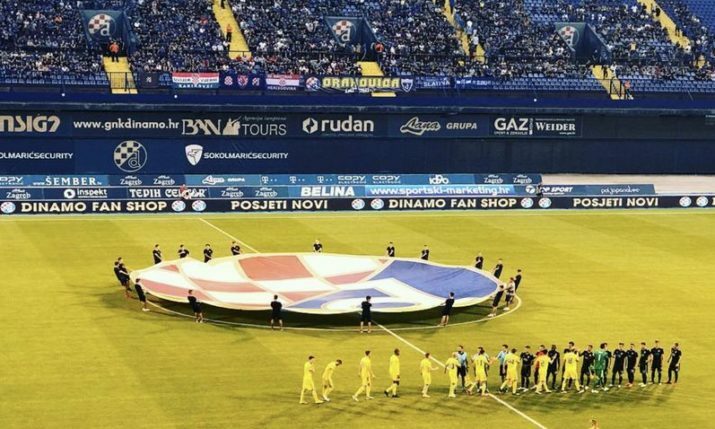 “These six young players of ours, six Croatian age group internationals, are not just the future of Dinamo, but of the Croatian football team,” Club Director Tomislav Svetina said, adding that is was an historic day for the club. Ćorić, Livaković and Benković have all been the target of big clubs in Europe. Ćorić, who is 19, has 108 caps for Dinamo and was a member of Croatia’s Euro 2016 squad. “As I have said a number of time, Dinamo is my dream, I am in love with Dinamo. I extended my contract as soon as it came,” Ćorić said on Wednesday. Benković has played 46 times for Dinamo’s first team, whilst Moro this season made his debut. He featured in Dinamo Zagreb’s loss to Juventus in the UEFA Champions League. Davor Lovren is the brother of Liverpool defender Dejan Lovren and is a talented right-sided midfielder, whilst Dominik Livaković and Adrian Šemper are both young goal keepers. Livaković represented Croatia at the China Cup recently. 19-year-old Sosa has 14 first team caps and played at the U-17 World Cup for Croatia.